Bitte nach unten scrollen, um das Einverständnis zu erklären und zur ICO-Seite zu gelangen. THIS DOCUMENT IS IMPORTANT. IF YOU ARE IN ANY DOUBT ABOUT THE CONTENTS OF THIS DOCUMENT YOU SHOULD CONSULT WITH YOUR ACCOUNTANT, LEGAL ADVISER OR OTHER INDEPENDENT PROFESSIONAL ADVISER. THIS DOCUMENT IS NOT A PUBLIC OFFER FOR INVESTMENT. IT IS DIRECTED ONLY TO KNOWLEDGABLE INVESTORS WITHIN THE ETHEREUM NETWORK. Registered Office DDF Asset Ltd.
Company is a Limited Liability Company incorporated as a Cayman Islands Limited Liability Company on 11 November 2014 2014 with registration number OG-29351. Company’s registered office is located at the address specified in the Directory. Company’s constitution is defined in its Memorandum and Articles of Association and its objects, as set out in Company’s Memorandum of Association, are unrestricted. Company is generally subject to the laws of the Cayman Islands. The Directors of Company, whose names appear in the Directory, accept responsibility for the information contained in this Information Memorandum. To the best of the knowledge and belief of the Directors (who have taken all reasonable care to ensure that such is the case) the information contained in this Information Memorandum is in accordance with the facts and does not omit anything likely to affect the import of such information. Certain information contained in this Information Memorandum constitutes “forward looking statements”, which can be identified by the use of forward-looking terminology such as “may”, “will”, “should”, “expect”, “anticipate”, “project”, “estimate”, “intend”, or “believe” or the negatives thereof or other variations thereon or comparable terminology. Due to various risks and uncertainties, including those described under the sections headed “Risk Factors” and “Potential Conflicts of Interests”, actual events or results or the actual performance of Company may differ materially from those reflected or contemplated in such forward looking statements. This Information Memorandum is based on the law and practice in force in the Cayman Islands at the relevant time and is subject to changes therein. In the event of any dispute between Company and an investor, such dispute shall be determined by the courts of the Cayman Islands. The distribution of this Information Memorandum and the ICO in certain jurisdictions may be restricted and accordingly persons into whose possession this Information Memorandum may come are required by Company to inform themselves of and to observe any such restrictions. In particular the information in this Information Memorandum is not intended for and applicable to U.S. citizens or legal entities domiciled in the U.S. Financial instruments or products referred to in this Information Memorandum must not be offered in the United States of America and must not be sold to U.S. citizens or legal entities domiciled in the U.S. This Information Memorandum is a solicitation to prospective applicants who meet the eligibility criteria to participate in the ICO and does not constitute an offer for sale of shares by Company. However, it does not constitute a solicitation to any person in any jurisdiction in which such solicitation is not authorized or to any person to whom it would be unlawful to make such solicitation. The foregoing information is for general guidance only. It is the responsibility of any person or persons in possession of this Information Memorandum and wishing to participate in the ICO to inform themselves of, and to observe, all applicable laws and regulations of any relevant jurisdiction. Prospective participants should inform themselves as to legal requirements also applying and any applicable exchange control regulations and applicable taxes in the countries of their respective citizenship, residence or domicile. This Information Memorandum does not constitute a recommendation by Company, the Directors, the Investment Manager or any other person, or advice to any recipient of this Information Memorandum, on the merits of participation in the ICO. This Information Memorandum does not necessarily identify, or purport to identify, all the risk factors associated with Company. Prospective participants must make their own independent assessment, after making such investigations as they consider necessary, of the merits of participating in the ICO. Prospective participants should consult and rely upon their own investment, accounting, legal and tax representatives and advisers as to such matters concerning Company and to evaluate independently the financial risks, consequences and suitability of an investment in Company, or if in any doubt about the contents of this Information Memorandum. Investment in Company carries substantial risk and may involve special risks that could lead to a loss of all or a substantial portion of such investment (see further under the section headed “Risk Factors”). Unless prospective participants fully understand and accept the nature of Company and the potential risks inherent in Company they should not invest in Company. Each prospective participant is wholly responsible for ensuring that all aspects of Company are acceptable to them. There can be no assurance that Company’s investment objective will be achieved and investment results may vary substantially over time. Investment in Company is not intended to be a complete investment program for any investor. Prospective participants should carefully consider whether an investment is suitable for them in light of their circumstances and financial resources. Prospective participants should inform themselves as to the legal requirements within the countries of their nationality, residence, ordinary residence or domicile for such acquisition, any foreign exchange restrictions or exchange control requirements which they might encounter on acquisition or disposal of DDF Tokens and the income tax and other taxation consequences which might be relevant to the acquisition, holding or disposal of DDF Tokens. IF THE PROSPECTIVE PARTICIPANT IS IN ANY DOUBT ABOUT THE CONTENTS OF THIS DOCUMENT THEY SHOULD CONSULT WITH THEIR ACCOUNTANT, LEGAL ADVISER OR OTHER PROFESSIONAL ADVISER BEFORE INVESTING. “1933 Act” the Securities Act of 1933 of the United States (as amended). “1940 Act” the Investment Company Act of 1940 of the United States (as amended). “Administration Agreement” the agreement between Company and the Administrator (as supplemented, amended or replaced from time to time). “Administrator” JP Fund Administration (Cayman) Ltd., Cayman Islands. “Articles” the Articles of Association of Company (as supplemented, amended or replaced from time to time). “Base Currency” of Company, being USD. “Business Day” any day on which banks are open for business in the Cayman Islands and/or such other day or days or place or places as the Directors may from time to time determine. “Directors” the members of the board of directors of Company for the time being and any duly constituted committee thereof and any successors to such members as may be appointed from time to time. “Eligible Investor” an eligible investor as defined in the section headed “Subscription of Shares”. “Fund” The Digital Developers Fund, a company limited by shares incorporated in the Cayman Islands. “GBP” the British pound sterling. “gross negligence” in relation to a person, generally means a standard of conduct beyond negligence whereby a person acts with reckless disregard for the consequences of his action or inaction. “Ineligible Applicant” an ineligible applicant as defined in the section headed “Subscription of Shares”. “Information Memorandum” this Confidential Information Memorandum (as supplemented, amended or replaced from time to time). “Sales Period” the period during which investors can participate in the ICO. “Tokens” Ethereum tokens are digital units that are being built on top of the Ethereum blockchain. “Initial Coin Offering ” or ICO a way for participants to join a Blockchain project acquiring a certain amount of initial token supply. “Investments” investments and transactions that Company may invest or engage in as described in the section headed “Investment Strategy”. “Law” the laws of the Cayman Islands. “Management Fee” the investment management fee payable by Company to the Investment Manager with respect to the Class B Shares. “Material Agreements” the Investment Management Agreement, the Administration Agreement and any agreements entered into by Company with any custodian or nominee. “Net Asset Value” the net asset value of Company portfolio investments determined in accordance with this Information Memorandum and the Articles. “Performance Fee” the performance fee payable by Company to the Investment Manager with respect to the Class B Shares. “Shareholder” a person recorded as a holder of Participating Shares in the Register of Shareholders. A token holder is not a Shareholder. “Subscription Price” the price at which tokens may be acquired in the ICO. “USD” the United States Dollar. “US Person” a citizen or resident of the United States, a corporation (or other entity treated as a corporation for United States federal income tax purposes) created or organized in the United States or any political subdivision thereof, an estate the income of which is subject to United States federal income taxation regardless of its source, a partnership or other entity created or organized in or under the laws of the United States, a trust if (i) a court within the United States is able to exercise primary supervision over the administration of the trust and one or more United States fiduciaries have the authority to control all substantial decisions of the trust or (ii) the trust properly elected to be treated as a US Person, or any person falling within the definition of the term “United States Person” under the 1933 Act or under any other applicable rules or regulations. “United States” the United States of America (including the states and District of Columbia) and any of its territories, possessions and other areas subject to its jurisdiction. “Valuation Day” the days on which the Net Asset Value per Share of Class B Shares is determined, namely, the last Business Day of each calendar month and/or such other day or days or place or places as the Directors may from time to time determine. (k) all references to dates are to dates of the Gregorian calendar. The investment objective of Company is to generate superior capital appreciation. The Directors seek to achieve Company’s investment objective by investing in digital assets such as internet domain names and crypto currency which have the potential to generate earnings and at least hold their value and/or which are potentially undervalued and have the potential to appreciate in value (“Investments”). (d) new technologies: The Investment Manager will constantly monitor the newest developments in the technological market. A particular technology might not be relevant before 5, 10 or even 20 years have gone by; registering the relevant domains now is cheap, and once the respective technologies have been established, these domains could be worth a fortune. (e) crypto currencies with at least 100m USD market cap that are listed on at least three exchanges. (f) crypto currency that meets above criteria via third parties (for example on bankruptcy auctions or government sales) when there is a discount of at least 5% vs the lowest exchange price. (g) crypto currency mining operations. (h) domain names under the Ethereum Name System (ENS) and other alternative name systems. (h) other digital assets such as licenses, patents, or rights. To the extent Company’s assets are not invested in Investments, and during periods in which the Investment Manager believes that economic, financial or political conditions make it advisable, or opportunities for capital appreciation are limited or for defensive purposes, Company may invest in short term debt securities or may hold cash. In addition, Company may place all or part of its assets in temporary investments for cash management purposes pending investments of initial or subsequent subscription monies in accordance with Company’s investment objective, or in order to meet redemption requests and/or its operational expenses. It may be necessary or prudent in relation to some of the Investments for Company to register the purchase of such Investments in the name of a custodian or a nominee. The Investment Manager will put in place suitable arrangements to help protect any such Investment of Company. Company may use leverage to meet redemptions, to bridge-finance new investments, for FX margin purposes, or to enhance investments. However, the amount of leverage that Company may employ is limited to 10% of the aggregate Net Asset Value of Company. Company may establish a credit facility or a derivative structure to provide leverage. Forced Redemptions are possible by the Directors and the Management at any time and for any reason. In a Forced Redemption, the token holders are informed and the payment received in the ICO will be returned to the token holder. There are no upper or lower limits on the number of Investments in the portfolio. There are no restrictions on the type of Investments. COMPANY’S INVESTMENT PROGRAMME IS SPECULATIVE AND ENTAILS SUBSTANTIAL RISKS. MARKET RISKS ARE INHERENT IN ALL INVESTMENTS TO VARYING DEGREES. NO ASSURANCE CAN BE GIVEN THAT COMPANY’S INVESTMENT OBJECTIVE WILL BE REALISED. AN INVESTOR MAY LOSE SOME OR ALL OF THEIR INVESTMENT (SEE FURTHER UNDER THE SECTION HEADED “RISK FACTORS”). 4. MANAGEMENT, SERVICE PROVIDERS, AUDITORS ETC. The Directors are responsible for the overall management and control of Company in accordance with the Articles. The Directors will review the operations of Company at regular meetings and it is the current intention of the Directors to meet at least monthly. For this purpose, the Directors will receive periodic reports from the Investment Manager detailing the performance of Company and providing an analysis of its investment portfolio. Directors are not entitled to any remuneration for their services. However, the Directors are entitled to be reimbursed all travelling, hotel and other expenses properly incurred by them in attending and returning from meetings of the Directors or any committee of the Directors or general meetings of Company or in connection with the business of Company. See further under the section headed “Fees and Expenses”. There is no provision for the retirement of Directors on their attaining a certain age and the Articles do not provide for retirement of Directors by rotation. Under its Articles, Company has undertaken to indemnify every Director, secretary, officer and servant of Company against all costs, losses and expenses (including travelling expenses) that any such indemnified person may incur and become liable for by reason of any contract entered into, or acts done by him in any way in discharge of his duties other than through his willful misconduct, gross negligence, reckless disregard of his duties or as otherwise required by law. The amount for which such indemnity is provided shall immediately attach as a lien on the property of Company and have priority as between the Shareholders over all other claims. Under the Articles, no Director, secretary, officer or servant of Company shall be liable for the acts, receipts, neglects or defaults of any other Director, secretary, officer or servant of Company, for joining in any receipt or other act for conformity or for any loss or expense happening to Company through the insufficiency or deficiency of any security in or upon which any of the moneys of Company shall be invested or for any loss or damage arising from the bankruptcy, insolvency or tortious act of any person with whom any moneys, securities or effects shall be deposited, or for any loss, damage or misfortune whatever which shall happen in the execution of the duties of his respective office or in relation thereto unless the same happened through his own willful misconduct, gross negligence, reckless disregard of his duties or as otherwise required by law. The Directors may also act as Investment Managers. Company is, at any time or from time to time, entitled to (but are not obligated to) form an investment advisory committee (“Investment Advisory Committee”) to discuss the implementation of Company’s investment strategy. Notwithstanding the formation of any such Investment Advisory Committee, the Investment Manager will ultimately be responsible for the making of investment decisions. Any such Investment Advisory Committee formed will usually be comprised of the directors of Company and between two and five independent individuals appointed by the directors. The independent members will be chosen for their expertise in the industry. In exceptional cases, it may be necessary, in relation to some of the Investments made for the Company to register the purchase of such Investments in the name of a custodian or a nominee. The Directors will put in place suitable arrangements to help protect the investment registered in the name of any such custodian or nominee. Any custodian or nominee so appointed may be entitled to receive from Company remuneration for services rendered to Company. The details of any such remuneration will be specified in the agreement entered into between Company and the custodian or nominee (as the case may be). Any custodian or nominee so appointed may be entitled to be indemnified by Company in certain circumstances. The details of any such indemnification will be specified in the agreement entered into between Company and the custodian or nominee (as the case may be). Company has appointed BDO, Cayman Islands as Company’s auditors (“Auditors”). The scope of audits is to prove that assets claimed to be owned by the Company are in fact owned and under control of the Company. Company has entered into an engagement letter with the Auditors containing provisions limiting the liability of the Auditors arising out of or in connection with their engagement. Company has appointed Solomon Harris, Attorneys-at-Law, Cayman Islands and Switzerland as Company’s legal counsel in respect of matters of Cayman Islands law. Company will create up to 250,000,000 (250 million) DDF Tokens through the Ethereum Smart Contract System. Before the Sale Period Begins, the Smart Contract System will create and directly release a pool of 1 million pre-allocated DDF Tokens to the Company (“Company DDF Tokens”) for certain uses as described in 5.5. Company’s sale of DDF Tokens will (a) begin at the time that mining commences on a specific Ethereum block announced on http://www.digitaldevelopersfund.com and (b) continue until the time that (i) 156,250 Ether has been received by Company or (ii) mining commences on a second Ethereum block as announced on http://www.digitaldevelopersfund.com, whichever is earlier (the “Sale Period”). If less than 100,000 DDF Token have been sold by Company during the Sale Period (the “Activation Threshold”), each purchaser will have the possibility to initiate the transfer of the respective amount of Ether submitted to the Smart Contract System from the Smart Contract System’s address back to the address used by that purchaser to transfer Ether to the Smart Contract System. 1 Ether will purchase 1,000 DDF Tokens. 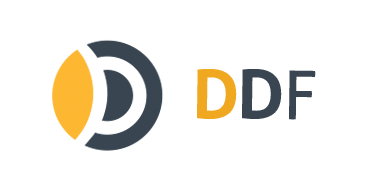 There is no sale price for Company DDF Tokens, which is created by the Smart Contract System and pre-allocated to the Company before the Sale Period. In order to purchase DDF Tokens during the Sale Period, and to receive the DDF Tokens you purchase, you must have an Ethereum wallet that supports the ERC20 token standard. Company reserves the right to prescribe additional wallet requirements. Approximately forty-eight (48) hours prior to the commencement of the Sale Period, Company will publish an address for the DDF Tokens sale via its website. To initiate a purchase of DDF Tokens during the Sale Period, you must send an amount of Ether to an Ethereum address (the “ICO Address”) that will be provided to you only after you agree to these Terms by clicking the “I Agree with the Terms – View the ICO Address” button at the bottom of these Terms. Sending Ether to the ICO Address during the Sale Period triggers a smart contract operation, pursuant to which the Smart Contract System will automatically create and promptly deliver the corresponding DDF Tokens to the ERC20 wallet address from which the Ether were sent. Ether must be sent to the ICO Address during the Sale Period in order to purchase and receive DDF Tokens. Sending Ether to any other address may result in loss of Ether. Attempted transactions to purchase DDF Tokens will be rejected if Ether is sent to the ICO Address at any time before or after the Sale Period. The Smart Contract System is deployed by Company from the Cayman Islands, and is programmed so that all transactions it executes will be executed in the Cayman Islands. As such, title to, and risk of loss of, DDF Tokens created and delivered by the Smart Contract System passes from Company to purchasers in the Cayman Islands. Company DDF Tokens will be used for legal costs, marketing and compensating employees and contractors, and for other internal purposes in connection with the operation of the Company. The Ether that Company receives for DDF Tokens sold to purchasers during the Sale Period will be used as follows. In the event that a dividend is declared and remains unclaimed after a period of six years from the date of declaration, such dividend will be forfeited and will revert to Company. To the extent that a dividend may be declared, it will be paid in compliance with applicable laws. Company is not liable to Shareholders for tax implications and personal liabilities caused by any such dividends. Measures aimed at the prevention of money laundering may require a participant in the ICO to verify his identity and/or the source of funds to the Company. By way of example, an individual may be required to produce the original passport or identification card or copy duly certified by a public authority such as a notary public, the police or the ambassador in his country of residence, together with two original documents evidencing his address such as a utility bill or bank statement or duly certified copies. In the case of corporate applicants this may require production of a certified copy of the Certificate of Incorporation (and any change of name) and of the Memorandum and Articles of Association (or equivalent), and of the names and residential and business addresses of all directors and beneficial owners. The details given above are by way of example only and the Company will request such information and documentation as it considers is necessary to verify the identity or source of funds of an applicant. Each ICO participant acknowledges that the Company shall be held harmless against any loss arising as a result of a failure to provide such information and documentation as has been requested by the Company. The Net Asset Value will be determined by the Directors on each Valuation Day and is calculated to four decimal figures by aggregating the value of the assets owned or contracted for by Company, net of any relevant taxes and converted into USD. In general, the assets will be valued at cost, unless the assets are traded on Exchanges, in which case they will be valued at the median exchange rate over the valuation period. The NAV will be calculated monthly at the last day of each month. The DDF Tokens carry no ownership, revenue or governance rights: In particular, ICO participant understands and accepts that DDF Tokens do not represent or constitute any ownership right or stake, share or security or equivalent rights nor any right to receive future revenues, shares or any other form of participation or governance right in or relating to DDF. the ICO participant understands and accepts that there is no warranty or assurance that the networkof miners will allocate the DDF Tokens to the ICO participant. Company will pay a management fee to the Investment Manager (“Management Fee”) of the equivalent of 2.5% per annum of the Net Asset Value, calculated yearly with a high watermark starting from the day after the ICO. However, if Company has a loss chargeable to it during any fiscal year or years („Unrecouped Loss“) and during any succeeding fiscal year or years there are Net Profits, there will be no Performance Fee payable with respect to such Class B Share until the amount of the Unrecouped Loss has been recouped. Company will bear its own operating expenses, limited to administrative expenses, legal and licensing expenses, government fees, audit, taxes, interest and shareholder communication expenses. Important Note: As noted elsewhere in these Terms, the DDF Tokens are not being structured or sold as securities or any other form of investment product. Accordingly, none of the information presented in this Exhibit A is intended to form the basis for any investment decision, and no specific recommendations are intended. Company expressly disclaims any and all responsibility for any direct or consequential loss or damage of any kind whatsoever arising directly or indirectly from: (i) reliance on any information contained in this Exhibit A, (ii) any error, omission or inaccuracy in any such information or (iii) any action resulting from such information. A private key, or a combination of private keys, is necessary to control and dispose of DDF Tokens stored in your digital wallet or vault. Accordingly, loss of requisite private key(s) associated with your digital wallet or vault storing DDF Tokens will result in loss of such DDF Tokens. Moreover, any third party that gains access to such private key(s), including by gaining access to login credentials of a digital wallet or vault service you use, may be able to misappropriate your DDF Tokens. Any errors or malfunctions caused by or otherwise related to the digital wallet or vault you choose to receive and store DDF Tokens, including your own failure to properly maintain or use such digital wallet or vault, may also result in the loss of your DDF Tokens. Additionally, your failure to follow precisely the procedures set forth in Section 4 of Exhibit B for buying and receiving DDF Tokens, including, for instance, if you provide the wrong address for receiving DDF Tokens, may result in the loss of your DDF Tokens. Because DDF Tokens and the Platform are based on the Ethereum protocol, any malfunction, breakdown or abandonment of the Ethereum protocol may have a material adverse effect on the Platform or DDF Tokens. Moreover, advances in cryptography, or technical advances such as the development of quantum computing, could present risks to DDF Tokens and the Platform, including the utility of DDF Tokens for obtaining Services, by rendering ineffective the cryptographic consensus mechanism that underpins the Ethereum protocol. As with other decentralized cryptographic tokens based on the Ethereum protocol, DDF Tokens are susceptible to attacks by miners in the course of validating DDF Tokens transactions on the Ethereum blockchain, including, but not limited, to double-spend attacks, majority mining power attacks, and selfish-mining attacks. Any successful attacks present a risk to the Platform and DDF Tokens, including, but not limited to, accurate execution and recording of transactions involving DDF Tokens. Hackers or other malicious groups or organizations may attempt to interfere with the Platform or DDF Tokens in a variety of ways, including, but not limited to, malware attacks, denial of service attacks, consensus-based attacks, Sybil attacks, smurfing and spoofing. Furthermore, because the Platform is based on open-source software, there is a risk that a third party or a member of the Company team may intentionally or unintentionally introduce weaknesses into the core infrastructure of the Platform, which could negatively affect the Platform and DDF Tokens, including DDF Tokens’ utility for obtaining Services. DDF Tokens are intended to be used solely on the Platform, and Company will not support or otherwise facilitate any secondary trading or external valuation of DDF Tokens. This restricts the contemplated avenues for using DDF Tokens to obtain Services or access the Platform, and could therefore create illiquidity risk with respect to DDF Tokens you hold. Even if secondary trading of DDF Tokens is facilitated by third party exchanges, such exchanges may be relatively new and subject to little or no regulatory oversight, making them more susceptible to market-related risks. Furthermore, to the extent that third-parties do ascribe an external exchange value to DDF Tokens (e.g., as denominated in a digital or fiat currency), such value may be extremely volatile and diminish to zero. Unlike bank accounts or accounts at some other financial institutions, DDF Tokens are uninsured unless you specifically obtain private insurance to insure them. Thus, in the event of loss or loss of utility value, there is no public insurer, such as the Federal Deposit Insurance Corporation, or private insurance arranged by us, to offer recourse to you. The regulatory status of DDF Tokens and distributed ledger technology is unclear or unsettled in many jurisdictions. It is difficult to predict how or whether regulatory agencies may apply existing regulation with respect to such technology and its applications. It is likewise difficult to predict how or whether legislatures or regulatory agencies may implement changes to law and regulation affecting distributed ledger technology and its applications, including the Platform and DDF Tokens. Regulatory actions could negatively impact the Platform and DDF Tokens in various ways, including, for purposes of illustration only, through a determination that DDF Tokens are a regulated financial instrument that requires registration or licensing. Company may cease operations in a jurisdiction in the event that regulatory actions, or changes to law or regulation, make it illegal to operate in such jurisdiction, or commercially undesirable to obtain the necessary regulatory approval(s) to operate in such jurisdiction. The tax characterization of DDF Tokens is uncertain. You must seek your own tax advice in connection with purchasing DDF Tokens, which may result in adverse tax consequences to you, including withholding taxes, income taxes and tax reporting requirements. The Company team intends to use the proceeds from selling DDF Tokens to fund the maintenance and development of the Platform, as described further in Section 6 of Exhibit B. The proceeds of the sale of DDF Tokens will be denominated in Ether, and may, at our discretion, be converted into other cryptographic and fiat currencies. If the value of Ether or other currencies fluctuates unfavorably during or after the Sale Period, the Company team may not be able to fund development, or may not be able to develop or maintain the Platform in the manner that it intended. It is possible that, due to any number of reasons, including, but not limited to, an unfavorable fluctuation in the value of Ether (or other cryptographic and fiat currencies), decrease in DDF Tokens’ utility, the failure of commercial relationships, or intellectual property ownership challenges, the Company may dissolve. Because DDF Tokens confer no governance rights of any kind with respect to the Platform or Company, all decisions involving the Platform or Company will be made by Company at its sole discretion, including, but not limited to, decisions to discontinue the Platform, to sell more DDF Tokens for use in the Platform, or to sell or liquidate the Company. These decisions could adversely affect the Platform and the utility of DDF Tokens that you hold, including DDF Tokens’ utility for obtaining Services. Cryptographic tokens such as DDF Tokens are a new and untested technology. In addition to the risks included in this Prospectus there are other risks associated with your purchase, holding and use of DDF Tokens, including those that the Company cannot anticipate. Such risks may further materialize as unanticipated variations or combinations of the risks discussed in this Prospectus.